Notes: Tea used for fevers, inflammation, diarrhea, excessive menstruation and cancer. 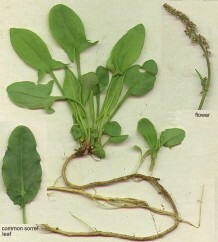 RUMEX ACETOSA. Most famous for sorrel soup. Large, succulent, slightly acid-tasting leaves give zest to salads and any dish which is insipid in itself. Remove flowering tops as they appear to keep leaves tender. A major improvement! Unlike standard sorrel varieties, Profusion does not go to seed at all. Produces bushels of tender, fleshy leaves all season, long after standard varieties turn tough and bitter.